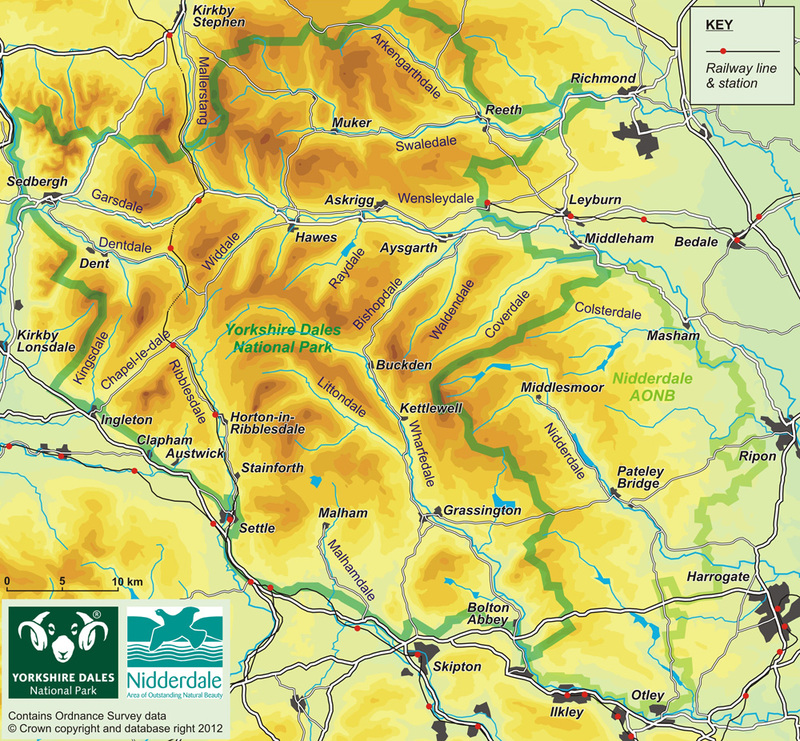 Wharfedale is arguably the softest landscape of the Yorkshire Dales [it’s all relative…] right in the south of the dales – see map below. 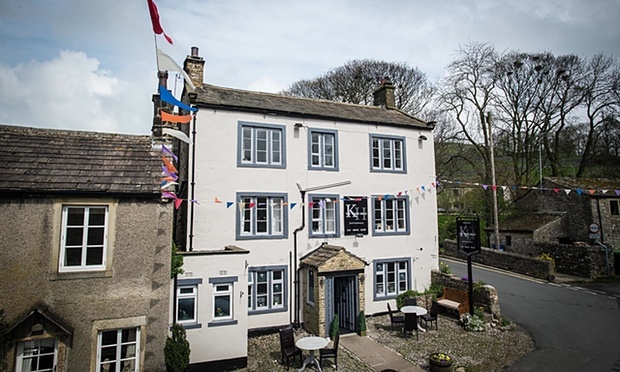 It’s home to Grassington as its centre, with the glorious Devonshire Arms and Bolton Abbey in the south, and to Buckden to the north, where it merges into Bishopdale. Mind you, the walks around Buckden, Starbotton and the upper reaches are not flat – be prepared to climb a few hills. The views, though, are fabulous on a clear day. Although called a village by locals, it was granted market town status in 1282. June sees the Grassington Festival, and there’s regular jazz on – live music seems to missing in many places these days. It’s also well placed for many, many walks around the area, from steep climbs to the gentle riverside walk down to Burnsall and back. Just up the valley is the other central village, Kettlewell. Not quite as bustling but equally good for walking and, to compete with the Grassington Festival, there’s the Kettlewell Scarecrow Festival in mid-August. 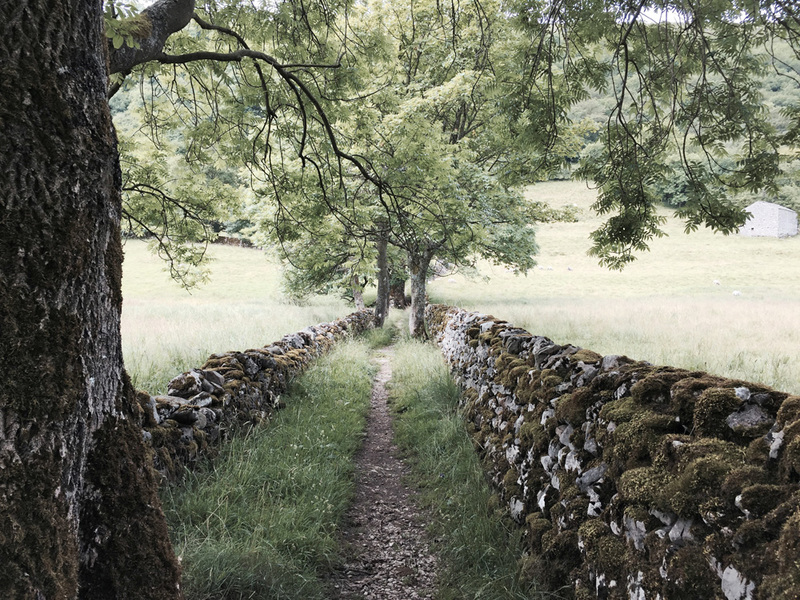 In Upper Wharefdale, it sits at the foot of Park Rash Pass over to Coverdale, one of our favourite dales – a narrow road leading through magnificent and largely deserted scenery to Masham [Massam] and Middleham, and eventually to Wensleydale. In Kettlewell they still remember the 1686 flood [!] which nearly destroyed the village [we bear grudges up here…] but that’s largely been superseded by the fun that was the 2014 Tour de France and the setting of filming for Calendar Girls. We’ll be exploring all the pubs, but the first on the list was the King’s Head. Smart, almost metropolitan website, that sets the scene for the pub’s interior. Clearly a traditional pub but “boutiqued” [is that a word…ed?] in the nicest possible way. For our first taster, very good and generous sandwiches, with lots of promise on the blackboard. Good local beers and Sticky Toffee Pudding to try. Definitely worth a return, probably to stay overnight in one of their stylish and comfortable bedrooms.